Celeb Dirty Laundry’s very own “Mr. Hollywood” Shannon Rose, spoke with Jason Mantzoukas from the new Sacha Baron Cohen movie “The Dictator” about the movie and his role in the comedy. Mantzouksa recently began production on the second season of Enlightened for HBO. He also stars as “Rafi” on FX’s The League and has guest-starred on “Parks and Recreation“, “Life and Times of Tim” and “NTSF”. His feature film credits include “Please Give” and “Baby Mama”. As a writer, Mantzoukas created the pilot Off Duty that starred Bradley Whitford at NBC, and recently developed Ambulance Chasers for FX. He is currently writing an original script as part of the Imagine Writer’s Lab and also wrote the most recent draft of Ride Along starring Ice Cube for New Line. He also wrote and consulted on the last two seasons of Children’s Hospital, which airs on Adult Swim, and served as a consultant on Portlandia for IFC. 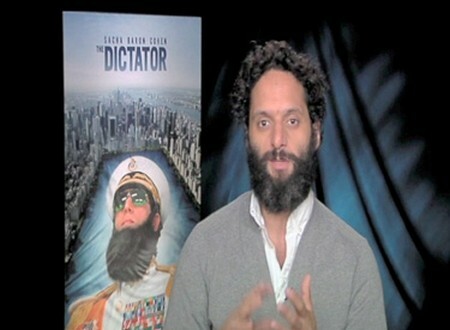 Mantzoukas talks about the movie “The Dictator” and how his role is different from other roles he’s played in the past. He talks about what it was like working with Sacha Baron Cohen, and what sets the Dictator out from the rest of his Borat movies. Should Madonna Really Be Giving Relationship Advice?